The Husqvarna 3120k is a popular variety of the industry-famous Husqvarna concrete saws. Browse this page and you’ll find a wide variety of parts and upkeep tools that are compatible with this powerful concrete saw. 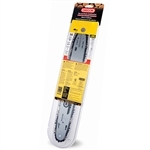 Shop our diamond saw blades in the likely event that your current blade is showing signs of wear and tear, and check out our full line of Husqvarna concrete saw chains to replace this critical component of your 3120K. And always remember to keep the engine as happy as possible with our professional synthetic 2-stroke oil. This is one saw you’re going to want to keep around for as long as possible. So shop our Husqvarna concrete saw chains and more for industry-preferred kits, tools, and replacement parts – and receive wallet-pleasing discounts from each listed price! Hyway brand cylinder kit. 60mm bore. Hyway brand high quality prefilter. Fits: Husqvarna 3120K concrete cut off saws.